The long and slow road toward the actual release of the Magic Leap One appears to be accelerating, with a couple of new demonstrations of how the system works revealed in this week's creator's portal updates along with the company's developer documentation. 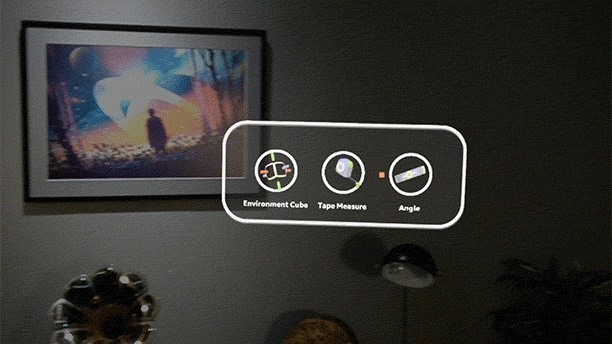 Following the much talked about demo called "Dodge," the new demos (actually, tutorials), shot directly through the device, are called "Drive" and "Measure" and deliver two new valuable looks at exactly how the Magic Leap system works. 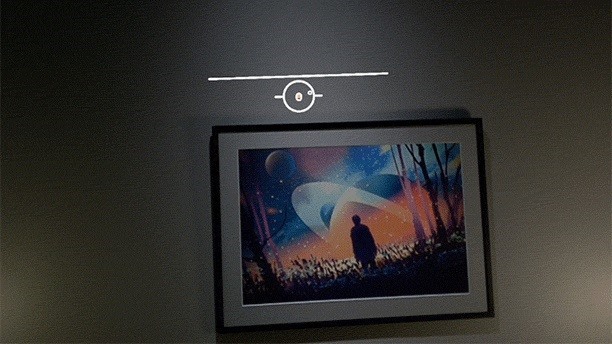 "Mobile apps exist already that can do small scale measurements, but they are limited by a tiny screen," reads Magic Leap's documentation, which is a clear reference to the abundance of augmented reality measuring apps currently available for mobile devices via ARKit and ARCore. "If you were using a measuring tape in the real world you would likely have to move directly up to the point you are measuring and extend the tape from there to your new point," reads the company's documentation. "With 'Measure,' you can do this interaction remotely by using your headpose gaze to target and a simple trigger press to place. No more moving around and no more physically holding the tape in place!" For those of us not among the few to have an early version of the Magic Leap One hardware, the company advises running the code via Magic Leap Remote as an alternative, a simulator tool that has come in handy for many developers looking to adopt the platform. 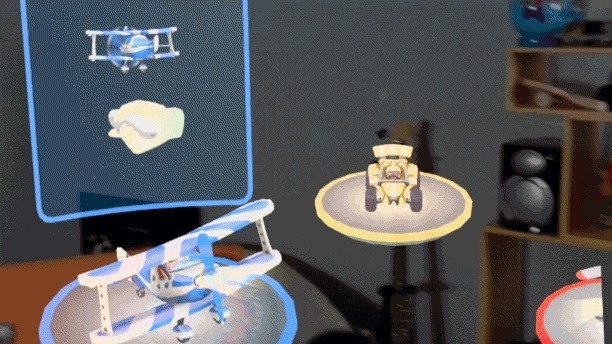 The other demo is called "Drive," a tutorial that shows how a developer can create AR experiences that allow for the creation of virtual vehicles that can take advantage of Magic Leap's WorldMesh feature. 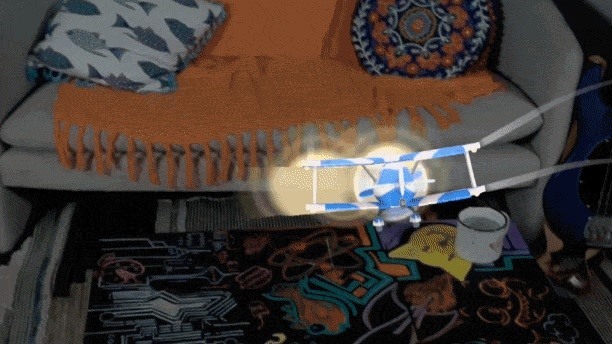 The dynamic effectively allows virtual objects to "sense" the real world by bumping into real objects, hiding behind real objects, and traveling over surfaces with convincing mimicry of how a real toy car or plane might respond to a real surface. 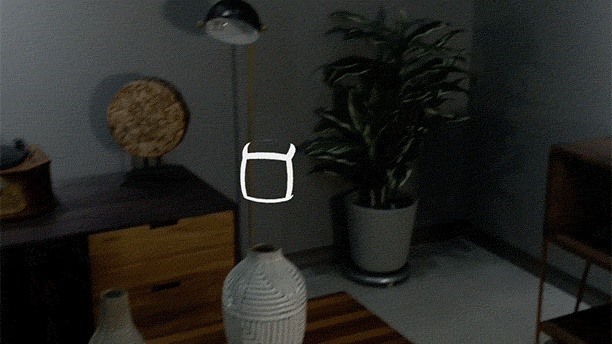 "[With 'Drive'] we want to show you some more advanced topics around embracing and guiding user focus as well as a few cool things we've found around how to use Magic Leap's 6DoF Control and its various buttons and components," reads Magic Leap's documentation. 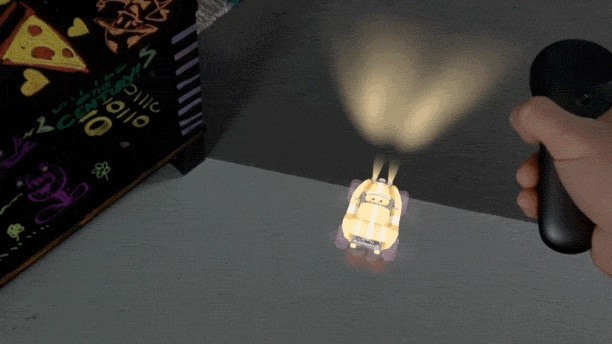 The effect also includes lighting (see the car headlights GIF), which allows virtual light to behave as real light would when projected onto various surfaces. 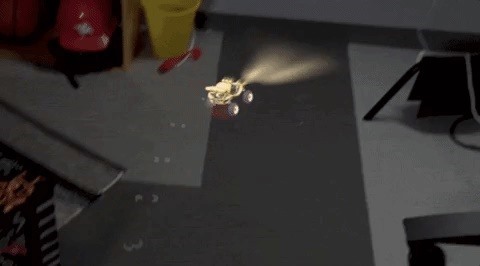 Magic Leap's "Drive" tutorial also lets us see how the Magic Leap One's controller can be used to define very specific virtual object functions, such as turning a virtual car's wheels, rather than turning the entire vehicle. 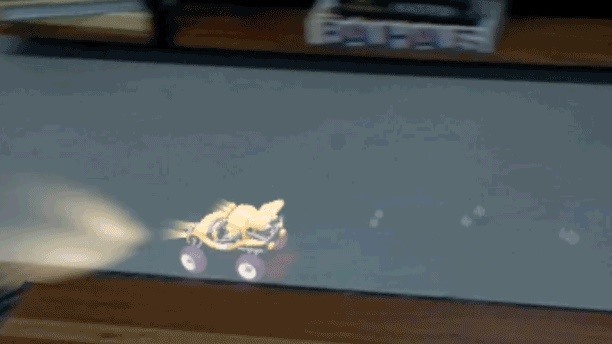 "'Drive' is a freeform sandbox vehicle driving experience that demonstrates how the Control can be used for both direct physical UIs (within arm's reach) as well as remote control schemes (for objects at a distance)," reads the documentation. "It also demonstrates how you can more easily manage user attention by setting the expectation that the Control is your home base." Included in the tutorial to illustrate the simulated physics are a virtual car, a plane, and a helicopter, each offering a unique set of behavior interactions to show what's possible using the system. To access the tutorials, you'll have to sign up for Magic Leap's Creator portal, which is open to anyone with an email address. 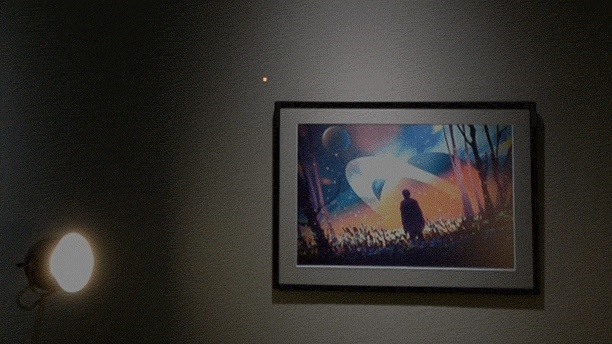 These demos aren't likely to quell the doubts from some regarding the capabilities of the Magic Leap One, but they're nevertheless an important early look at what kind of immersive computing experiences Magic Leap will deliver at launch, which is likely just days away.